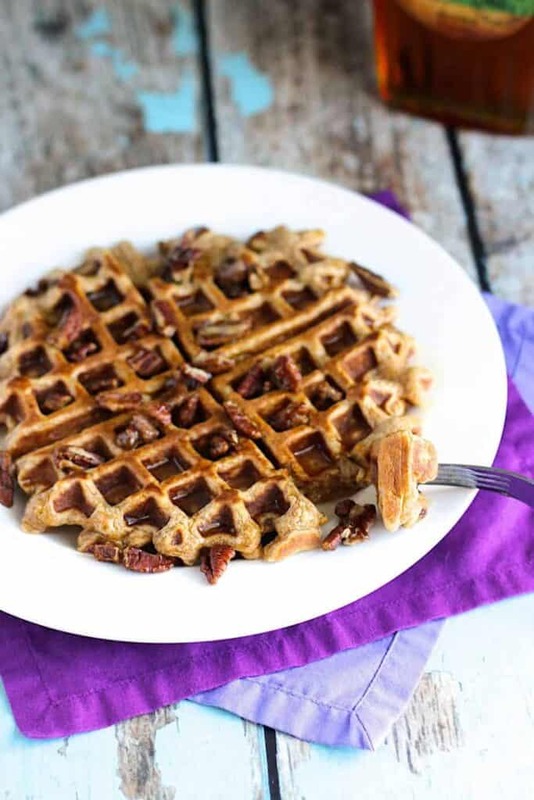 These Sweet Potato Waffles are subtly sweet and perfectly spicy. They are the perfect main course for any relaxed Fall breakfast or brunch. I’m proud to be sharing them with you as part of #WaffleWeek2016. I’m really struggling with not rushing into the next season. On the one hand, I’m beyond excited for cooler weather, and really enjoy the foods and flavors of Fall. Plus I love all of the things that this time of year signals the start of: lazy Saturdays spent watching college football (i.e., Sean watching and me just being lazy with the dog), hockey season, deer hunting, and pumpkin everything (#noshame). On the other hand, early and mid-September are not technically Fall. It’s still hot out, and the summer produce is still abundant. Plus, what’s the rush? Suffice it to say, you’re likely going to see an interesting mix of posts from me this month. With warm, spicy flavors one day and things like fresh, grilled seafood the next. Is anyone else out there struggling with this? Today we’re leaning toward the warm, spicy end of the spectrum. These waffles are tender and flavorful. 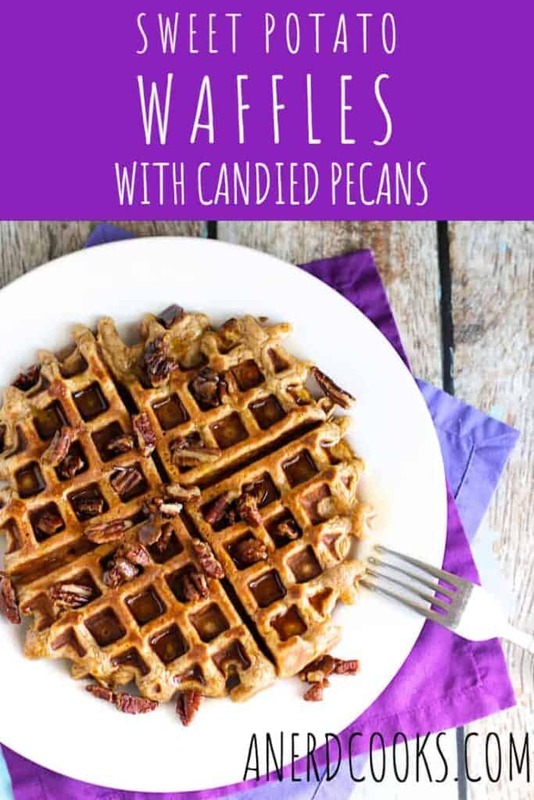 The spices complement the subtle sweetness of the sweet potato, while the candied pecans add crunch and make these waffles really special. Add the pecan pieces, sugar, and butter to a nonstick skillet over medium heat. Stir frequently. Once the sugar starts to melt, stir constantly until all of the nuts are coated and all of the sugar has melted. Spread the nuts onto the prepared baking sheet, quickly separating them with two spatulas. Allow them to cool completely before breaking them apart. Set aside. In a medium bowl, whisk together the flour, brown sugar, baking powder, baking soda, salt, cinnamon, nutmeg, ginger, and allspice. Set aside. In another medium bowl, combine the milk, pureed sweet potato, egg yolks, and melted butter. Whisk together until everything is combined. In a small bowl, whip the egg whites until stiff peaks form. You can do this by hand, but I recommend using an electric hand mixer. Fold the stiff egg whites into the batter. Prepare the waffles according to your waffle maker’s directions. 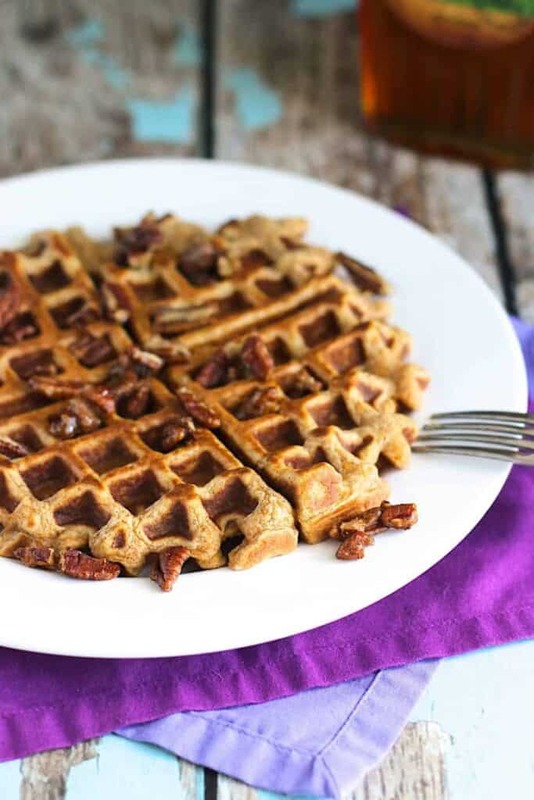 Top the waffles with candied pecans, butter, and maple syrup. If you’re looking for more waffle recipes from A Nerd Cooks, check out these Pumpkin Waffles and Churro Waffles! 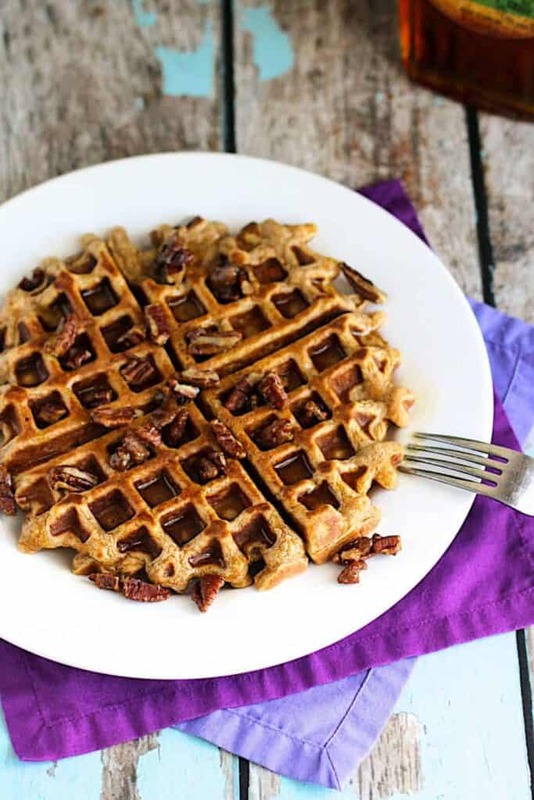 Keep scrolling for some tasty waffle recipes from other talented food bloggers. Now, let’s talk Waffle Week! 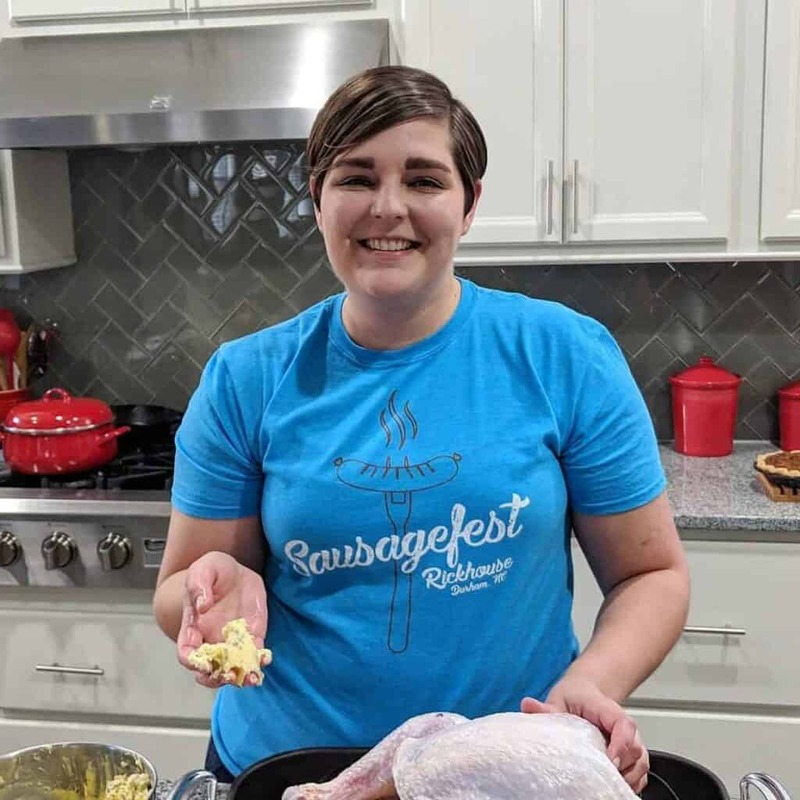 I partnered with a handful of other talented food bloggers to bring you an assortment of tasty recipes for your Waffle Week enjoyment. 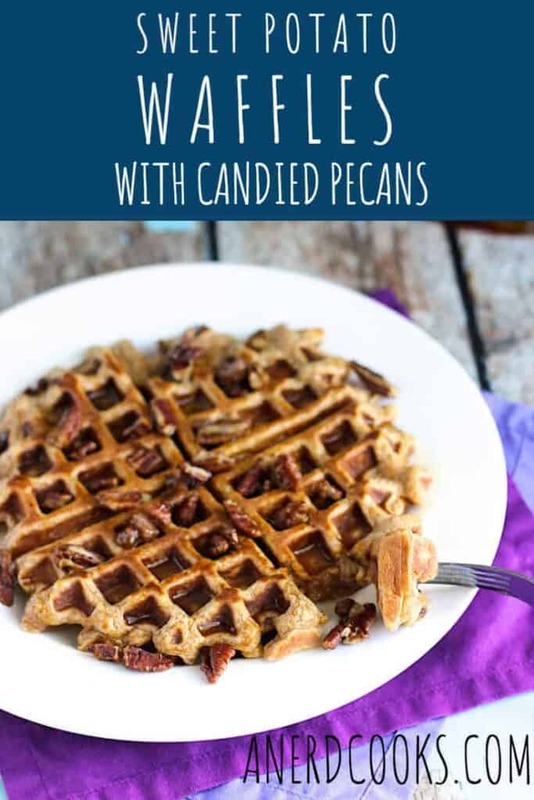 I’m a summer girl so I’m in no rush to change seasons, but I am in a rush to try these waffles. They remind me not just of Fall but are reminiscent of Thanksgiving. I enjoyed working on this Waffle project with you. 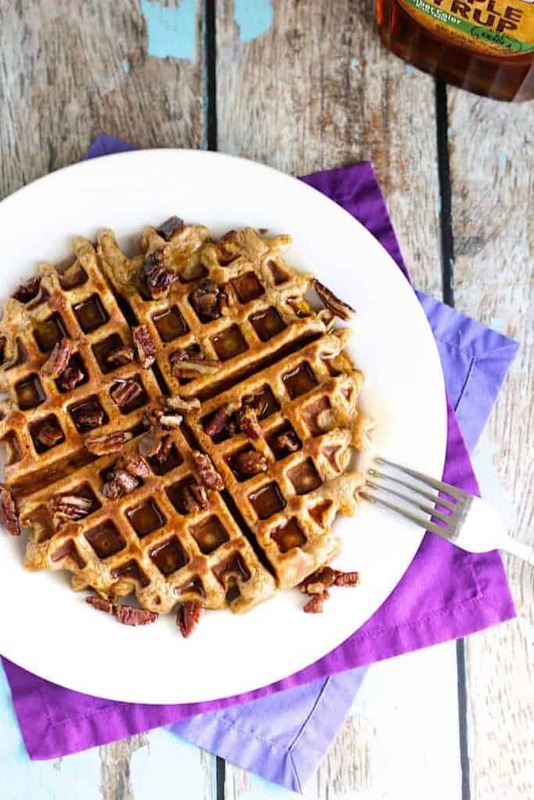 Pecans and sweet potatoes are such a classic combination. 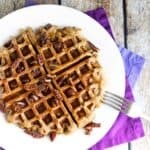 Great Fall waffle recipe.